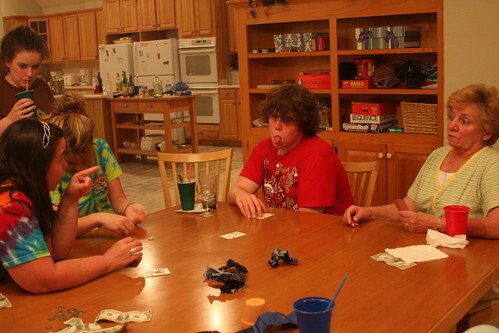 Family card game gets heated! this was the end of a 20 minute argument regarding the rules of engagement. mom mom stood corrected, a rare thing when it comes to card games. Comments & Feedback on "Who Knows the Rules of Acey Deucey"
Ah, that’s a different game entirely! Acey Deucey is aka Red Dog – a poker game. I think the backgammon game is usually Acey Deucy – without second e? Very good and interesting site with very good look and perfect information … I like it.